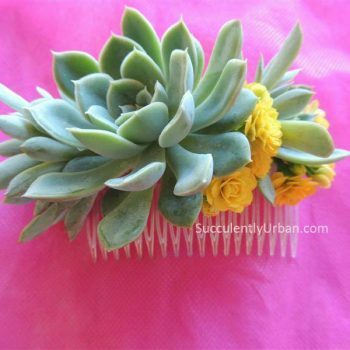 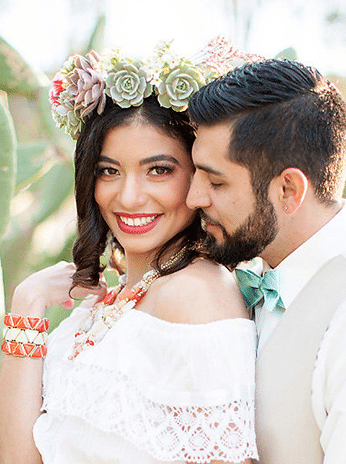 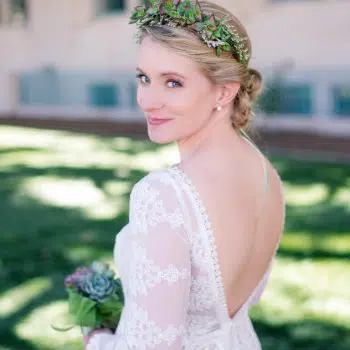 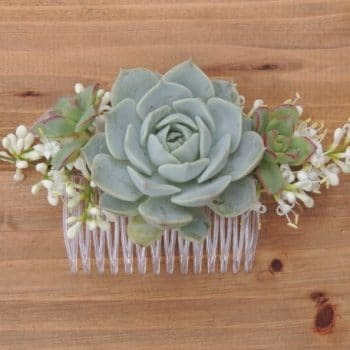 Succulent hair combs and succulent crowns are eye catching and look beautiful. 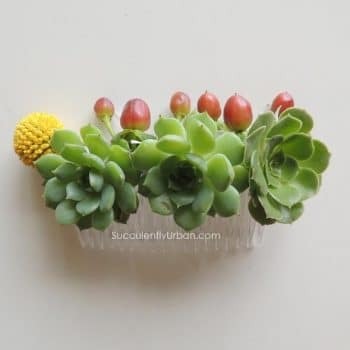 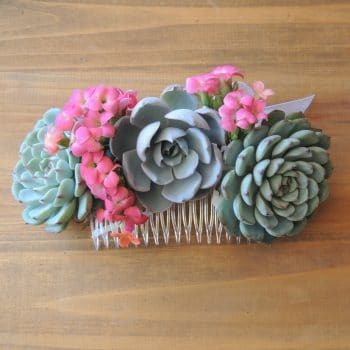 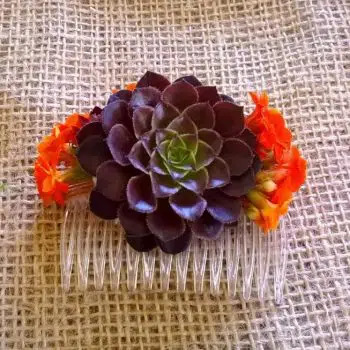 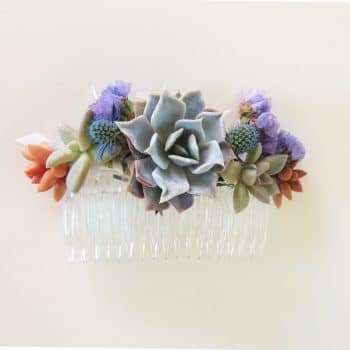 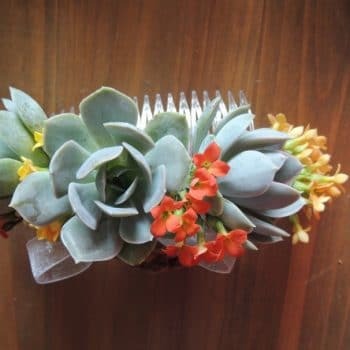 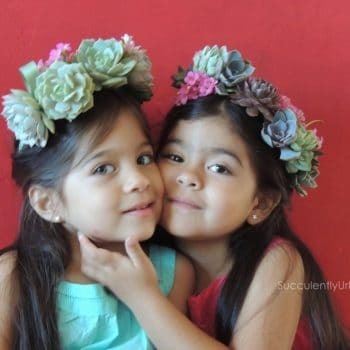 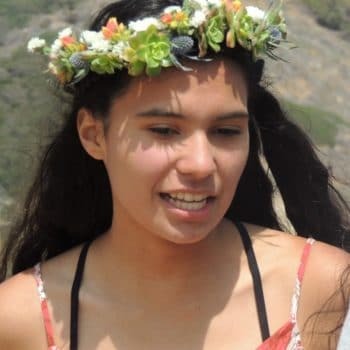 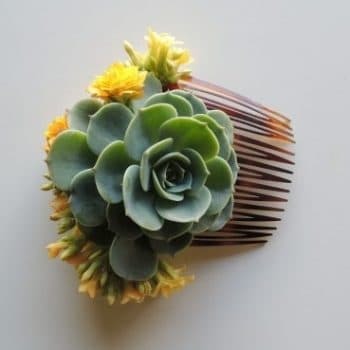 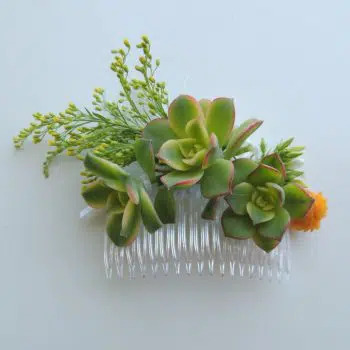 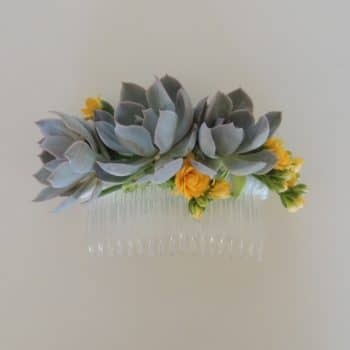 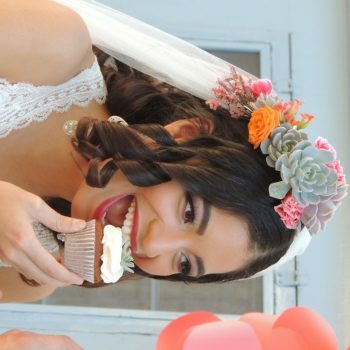 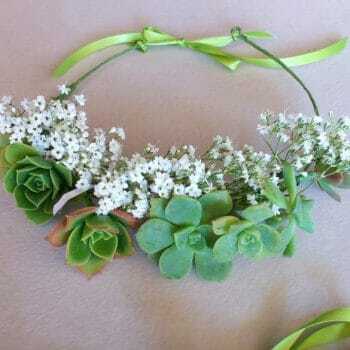 We make our succulent hair combs and crowns with succulent rosettes and accent them with small flowers. 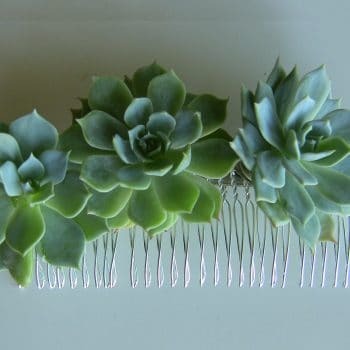 Let us know what your needs are and we will do our best to create something special for you.